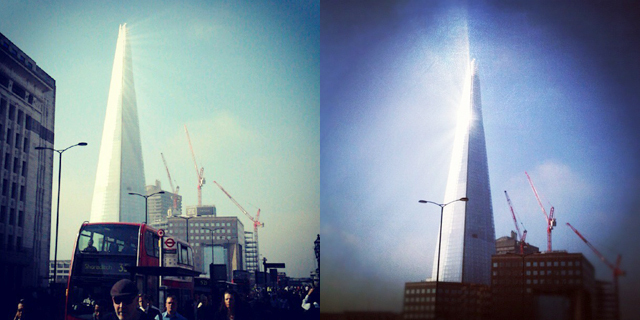 LookSeeNow: The sun shines on The Shard, people photograph it. 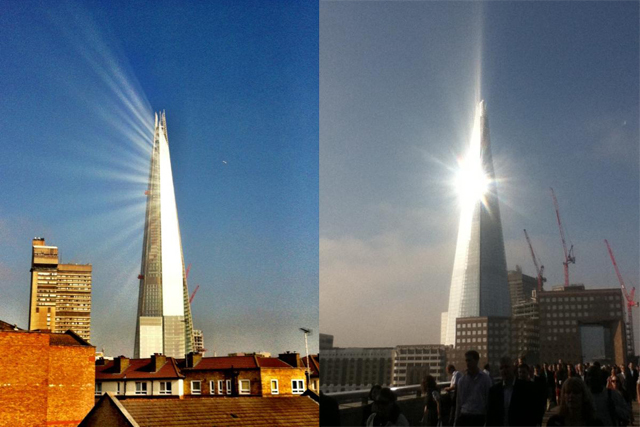 The sun shines on The Shard, people photograph it. Yesterday morning I looked at my Twitter feed as I got into work to find that I had missed a spectacular sight. 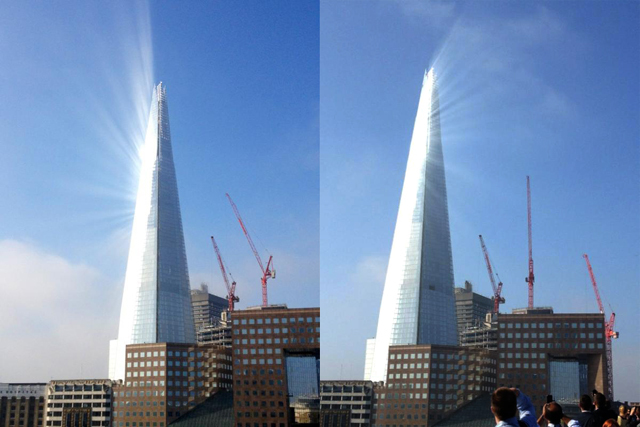 As the City of London was covered in a haze of humid light the sun had aligned in such a way that it bounced off London's newest landmark The Shard. 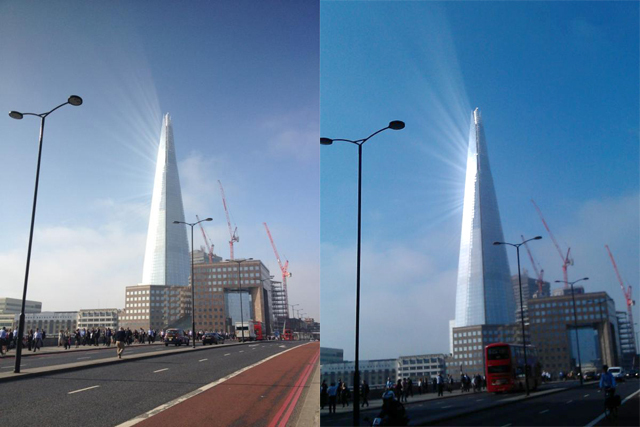 "Did the Shard architects plan this for hazy, sunny mornings? If so they are geniuses." Tweeted @HawksmoorLondon. And what a sight it would have been had I not been on a train heading directly west away from it. Luckily Twitter came to the rescue (much like it did during the London Mist) and here's some of the best photos I found of the phenomena which I'm looking forward to seeing each year. 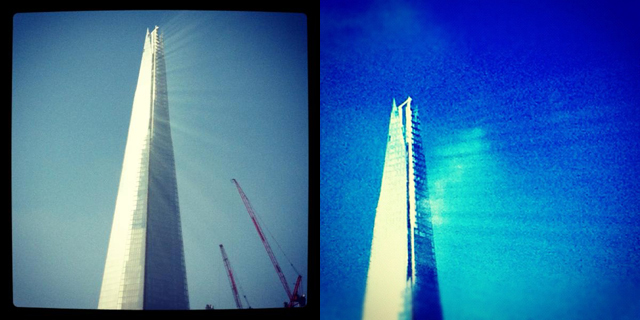 Thank you architects of The Shard. 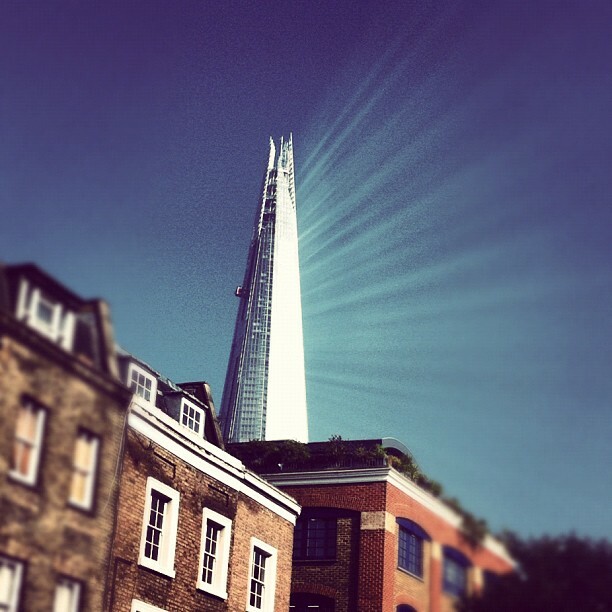 They look great- but much as I love Instagram I can't help feeling that the addition of filters etc makes this look a bit unreal- how much of the image is Shard magic and how much is pixel magic? Very true, someone I know commented on one of the photos on FB: "If that was shown in a film I'd call it a dodgy visual effect..."
I think it's a case where photographs really don't do it justice and to experience it in real life is completely different.